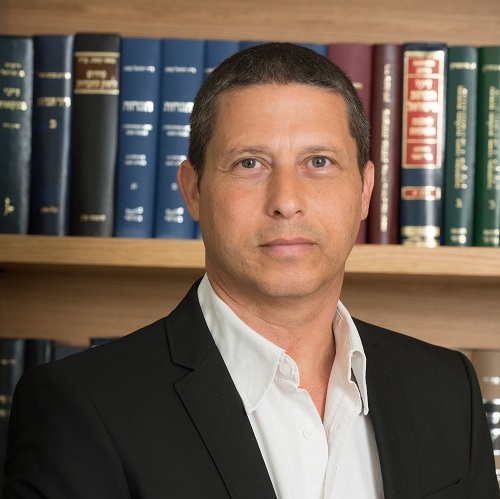 In January 25th, 2018 a precedent decision was rendered by the Israeli Supreme Court, according to which a foreign jurisdiction clause in a bill of lading applied also to a third party that was not a party to the bill of lading, however, the proceedings against such a third party shall be delayed only if the third party will waive a time- bar claim in the foreign forum. The decision was made by a majority of votes, not unanimous. The clause in the bill of lading expanding the defenses of the carrier to third parties is called the “Himalaya” clause, named for a vessel that was a party to a legal proceeding that discussed this issue at the English court many years ago. The various bills of lading usually include clauses applying the carrier’s defenses to third parties operating on behalf of the carrier in connection with the shipment, such as ship agents and secondary carriers. Along the years, various courts worldwide discussed the question of whether third parties were entitled to enjoy the defenses of the carrier that had issued the bill of lading, including material defenses such as limits of liability and time bar period, and procedural defenses such as foreign jurisdiction clause. The Courts worldwide usually apply the carrier’s defenses to third parties related to the carriage, provided the bill of lading specifies a clear clause that so determines. As mentioned in our previous article in this issue, the matter at hand involved an in rem claim by wood importers against a vessel, submitted to the Admiralty Court in Haifa due to damage caused to wood cargo during marine carriage to Israel. The ship owners had provided guarantee for release of the vessel and submitted a motion for dismissal of the claim due to foreign jurisdiction clause in the bills of lading according to which the cargo had been shipped to Israel. The ship owners had chartered the vessel to a company that sub- chartered the vessel to another company (“the Sub- charterer”). The Sub- charterer issued the bills of lading for carriage of the cargo to Israel. The ship owners argued that they were entitled to rights that applied to the Sub- charterer according to the bill of ladings of the Sub- charterer, including a jurisdiction clause according to which all claims regarding carriage of the cargo would be heard exclusively by the competent court in London and according to English law. At the first stage, the Admiralty Court set forth that the jurisdiction clause in the bill of lading had been worded as an exclusive jurisdiction clause referring the parties to the bill of lading to litigation before the court in England. At the second stage, the Admiralty Court discussed the question of whether the jurisdiction clause also applied to the ship owners that were not a party to the bills of lading and were not mentioned therein. The Admiralty Court determined that a person establishing a claim against the ship owners based on the bills of ladings issued for the carriage could not argue that the terms such the bill of ladings did not apply to the ship owners. The court also set forth that implementation of the jurisdiction clause on the ship owners could also be based on the “Himalaya clause” in the bill of lading, which applied the defenses of the Sub- charterer to the ship owners as well. Eventually, the Admiralty Court set forth that the terms of the bills of lading provided the ship owners with procedural rights according to the bills of ladings, and thus instructed that proceedings in this case be delayed. The plaintiffs filed an appeal to the Israeli Supreme Court in Jerusalem. The Supreme Court has approved the Admiralty Court’s decision regarding the implementation of the foreign jurisdiction clause to the ship owners although they were not a party to the bill of lading, however, in this particular case, since the ship owners did not agree to waive the time- bar claim in the foreign forum (the competent court in London), the Supreme Court has ruled that the proceedings in Israel shall not be stayed. Ref: Case no. 8205/16 (the Supreme Court in Jerusalem) CONSTRASTOCK OY v. The Ship Thor Horizon.